PDF Converter 7 is the world’s most accurate and best-selling tool for turning existing PDF or XPS files into fully-formatted Microsoft Word, Excel, PowerPoint, Corel WordPerfect or RTF documents. 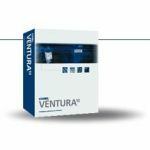 Designed to take full advantage of Microsoft Office 2010 and Windows 7 capabilities, it’s Nuance’s most productive and intuitive PDF conversion software ever. There’s no smarter or easier way to access text, tables, charts, and graphics trapped in PDF files or to combine all pages of a PDF document into a single Excel worksheet. Never re-type a PDF document again! 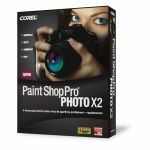 Convert PDF and XPS documents into fully-formatted, editable Corel WordPerfect or Microsoft Office formats, including Microsoft Word, Excel, and PowerPoint documents. Just right-click on a PDF file and select your conversion format to instantly create editable documents. You can even combine all pages of a PDF document into a single Microsoft Excel spreadsheet! PDF Converter 7 includes smart, innovative Logical Form Recognition™ (LFR) technology that accurately converts static PDF forms into editable Microsoft Word forms — instantly! 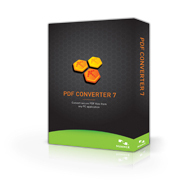 Designed to take full advantage of Microsoft Office 2010 and Windows 7 capabilities, PDF converter 7 is Nuance’s most productive and intuitive PDF conversion software ever. With PDF Converter 7, your converted documents include editable text, original tables, and graphics that can be repurposed within new content. Need to transfer a table from PDF to an Excel worksheet or workbook? No problem. You can quickly turn tables and spreadsheets into fully editable Excel files — without all that tedious copying and reformatting. Tired of opening and converting each individual PDF document? PDF Converter 7 makes it easy to batch convert files for maximum time savings. Simply drag and drop all the files you need into PDF Converter 7. A single click is all it takes to convert multiple files at once. You can even select automatic language detection for optimal accuracy and convenience if you process multi-language documents.